Now we know the top 10 list and how to use one here are all the facts you need to know. 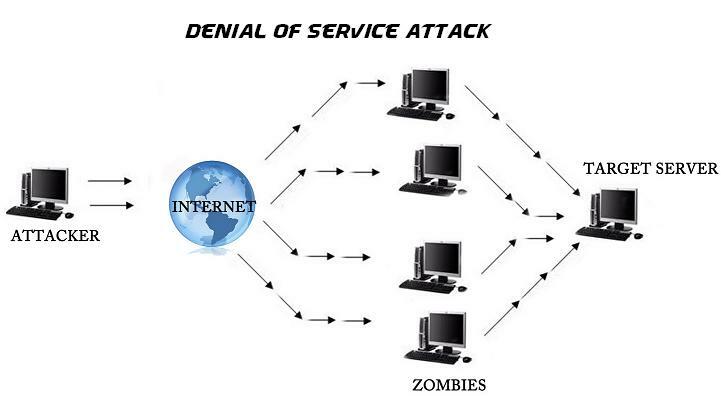 DDoS stands for distributed denial of service. DDoS involves sending large amounts of data rapidly until the targeted machine cannot handle any-more hence forth they go offline. One way to think about it would be, at a normal bus stop, the normal civilized citizens will pay for their ticket and get on the bus, but if one person were to send hundreds of people to one bus, no one else could get on it.Redeeming that bus full like your internet is when thousands of packets are sent to your IP. This scenario replicates what happens when you DDos it stops anything passing through the targets router or letting anything in resulting in them not being able to use their internet. I get alot of people asking me ‘is booting safe?’, ‘Will i get in trouble with the law?’, ‘Will they know its me?’. Now although booting can make a bit of damage the Law is sketchy and it depends on many factors the lade down law against DDoS it is - The Computer fraud and Abuse act. The only persons that may get in trouble is the owner of the site and usually the sites are just taken down. The chances of you getting in trouble for DDosing is very little. Next ‘Will they know its me?’ When you launch an attack from a site like Networkstresser, the attack is sent from remote servers that are spoofed and have nothing to do with you, now unless you directly tell the person I just DDoSed you or/and leave a legit trace that leads to you. What’s the difference between a booter, stresser and a ddoser? When you look around for a service that will take down a network, there’s three words you will see ‘booter’, ‘stresser’ and ‘DDoSer’. Alot of people think they’re different but the fact is they’re all the same, they all do the same thing and mean the same thing. The reason people use stresser instead of booter is because its seen as more ‘legitimate’ than ‘booter’. My experience tells me that booter is mostly associated with Gamers but again they all do the same thing so it doesn’t matter what you call it, it’s just all about preference . Now whenever or if you think about getting in to DDoSing it is advised you use a VPN (virtual private network) this will basically make you anonymous on the internet so there’s no way anyone knows what you’re doing and there’s no way it will ever be tracked back to you. Also it stops you, yourself from getting DDosed the VPN IP masks your home network IP so theres no way your IP is gived out that can trace back to you. Click the AnonymousVPN banner below for one of the best VPN’s out there! Check out http://networkstresser.com for the strongest ip booter on the market!